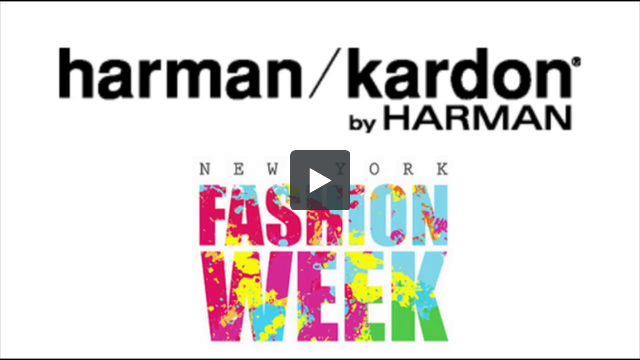 We launched Harman Kardon’s white headphones through a fashion show activation at New York Fashion Week. In a saturated market, Harman Kardon’s goal was to position their new, square, sleek and sophisticated CL Headphones, which were set to launch in Spring 2013, not only as a high quality headphone, but as a style/fashion accessory. With only a few weeks before New York Fashion Week, Hollywood Branded was able to secure a 3 day New York Fashion Week event sponsorship on behalf of Harman Kardon which included presence at a Kick-Off VIP Party, Harman Kardon “On The Red Carpet” interviews, Sampling Display during 9 fashion shows, an Interview Station for Celebrity Guests & Designers, Runway Integration in 2 of the fashion shows (including official gift bag sponsor), Behind-the-Scenes assets, inclusion in numerous Social Media Contests, Branded Social Media Photobooth Sponsorship, After Party Sponsorship, Logo Inclusion on all invitations, marketing materials, and step & repeat as well as Pictures & Testimonials of all Guests. Components Included: VIP Kick-Off Party, “On the Red Carpet” Interviews, Sampling during 9 Fashion Shows, Interview Station for Celebrity Guests & Designers, Runway Integration in 2 Fashion Shows, Official Gift Bag Sponsor, Behind-the-Scenes assets, Numerous Social Media Contests, Social Media Photobooth Sponsorship, Logo Inclusion on Invitations & Marketing Materials, Step & Repeat Inclusion, and Additional Testimonials, Picture, & Video. The campaign exceeded initial goals with over 19MM social media impressions and over 370MM impressions through media and press coverage. Harman Kardon reported a 970% Increase in Twitter Traffic during the course of the activation.